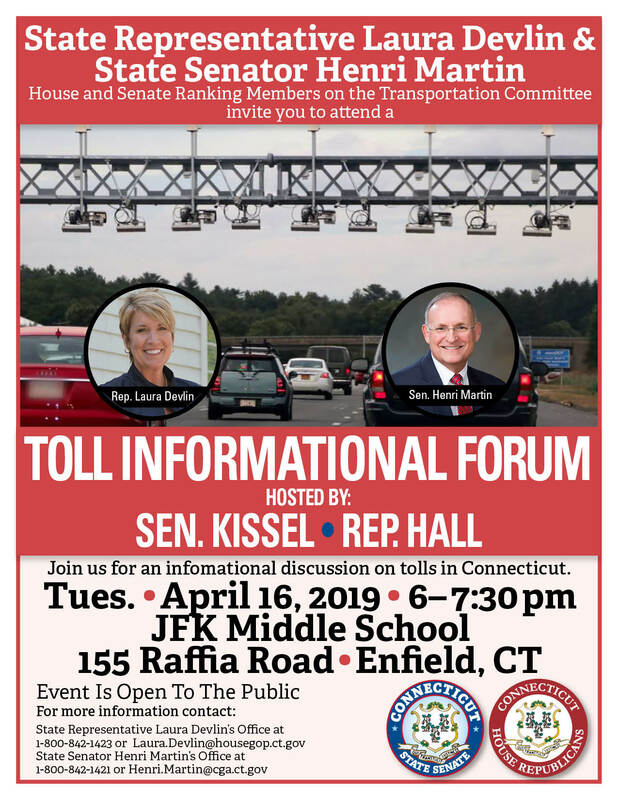 My colleagues, and Ranking Members of the Transportation Committee, Rep. Devlin and Sen. Martin want you to know the facts about the tolls plan proposed by Governor Lamont. They are taking a tour around the state to hold informational forums that discuss the plan and answer your questions. Reps. Hall and Zawistowski along with Sen. Kissel and myself have asked them to make a stop in Enfield and Windsor to meet with all of you. When: Tuesday, April 16, 2019 from 6:00 p.m. to 7:30 p.m. When: Thursday, April 25, 2019 from 7:00 p.m. to 8:30 p.m. These events are free and open to the public. 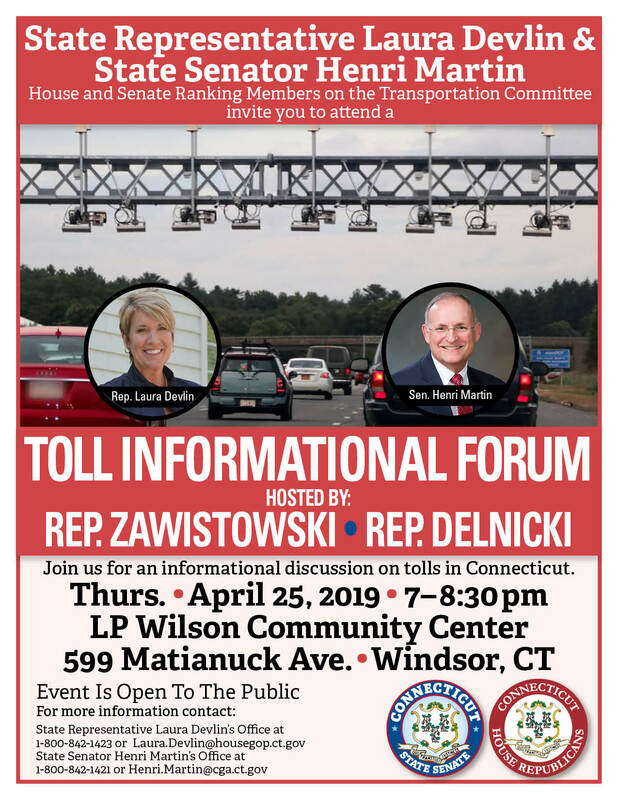 If you are unable to attend but still have tolls-related questions, please contact me by email at tom.delnicki@housegop.ct.gov or by phone at 800-843-1423.